Because my lack of time I will post an update about the big shows until now of NYFW. I picked out some of my favorite Big shows and collected some pictures and videos from the shows. 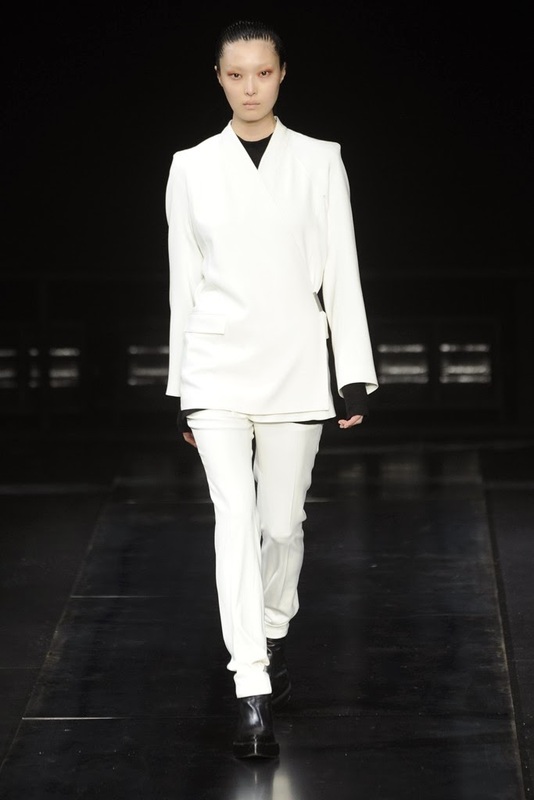 At first Helmut Lang. I think this collection is very classic with the black, white and beige colors. 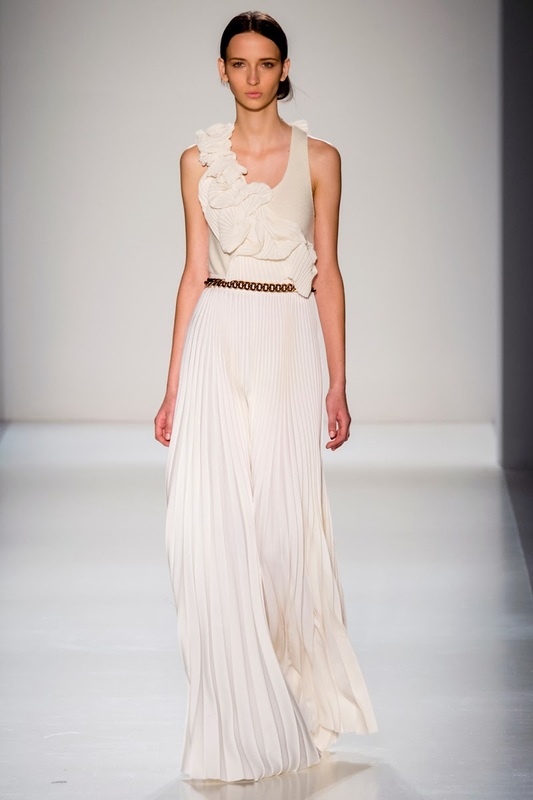 It's feminine with clean lines and that makes it very wearable. 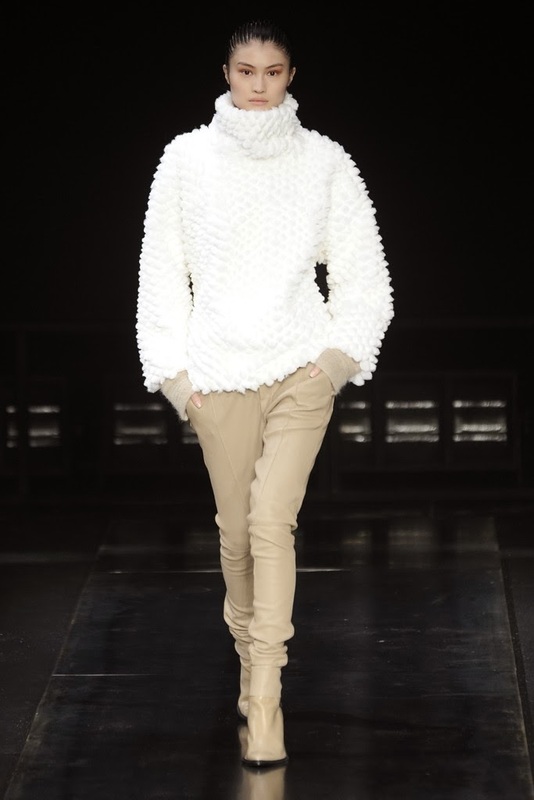 The collection has a lot of warm sweaters for next fall/winter. 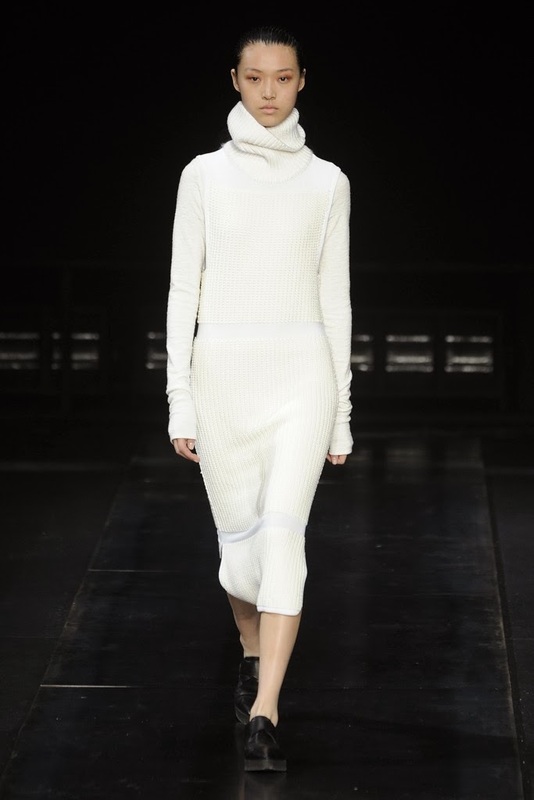 The second Big show I really liked is the show of Alexander Wang. The new collection has very diverse items which made it perfect for everyone. Specially the military look was surprising and definitely different from the rest which made it fun and interesting to watch. I really loved that they used a lot of grays and blue colors. 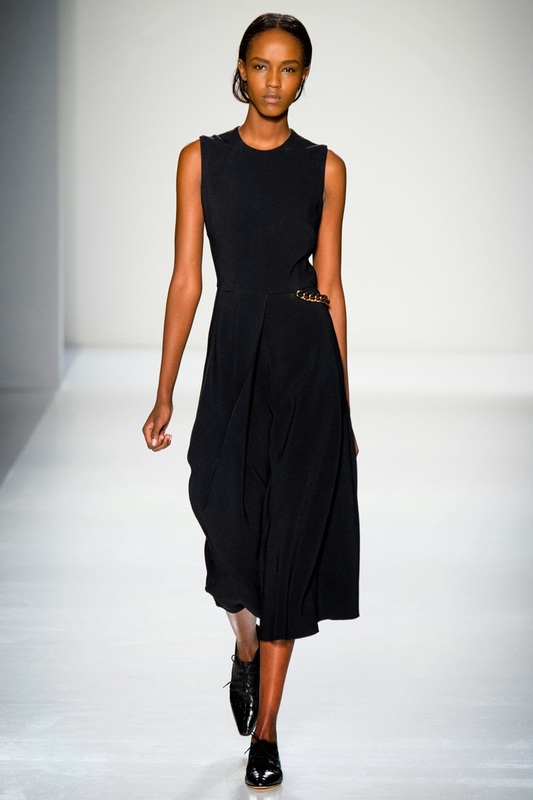 Big show number three is the show of DKNY. 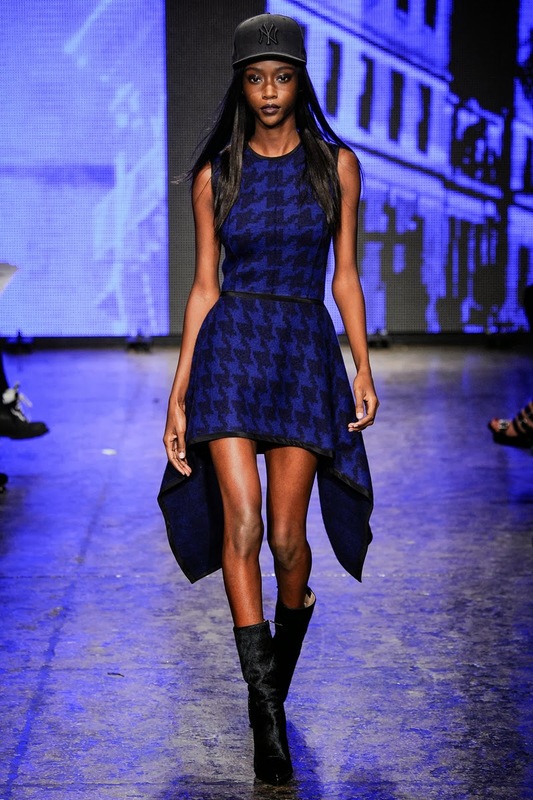 The DKNY show was very diverse and i'm not only talking about the clothes, even the models were diverse. DKNY wanted to present the theme "New York is the Dream". They definitely captured that theme with this show. I think it's an interesting show to watch. Click on the link below to watch the whole show. 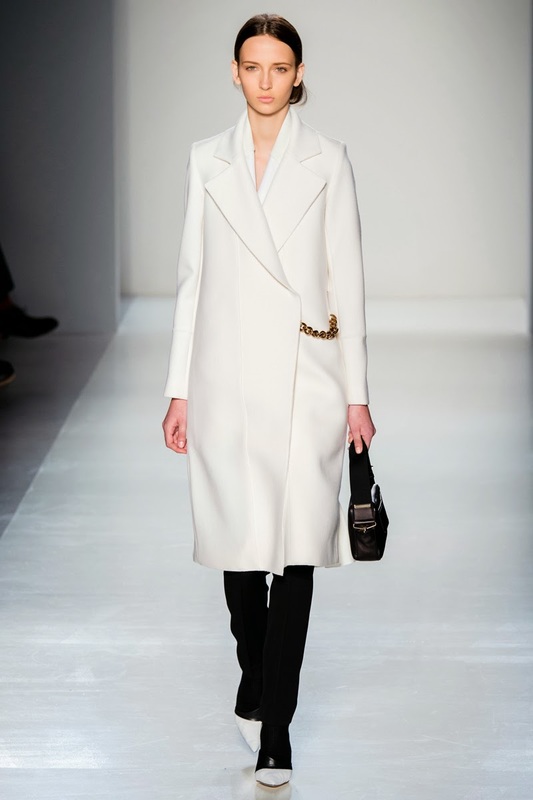 The fourth Big show I wanted to share with you is the show of Victoria Beckham. 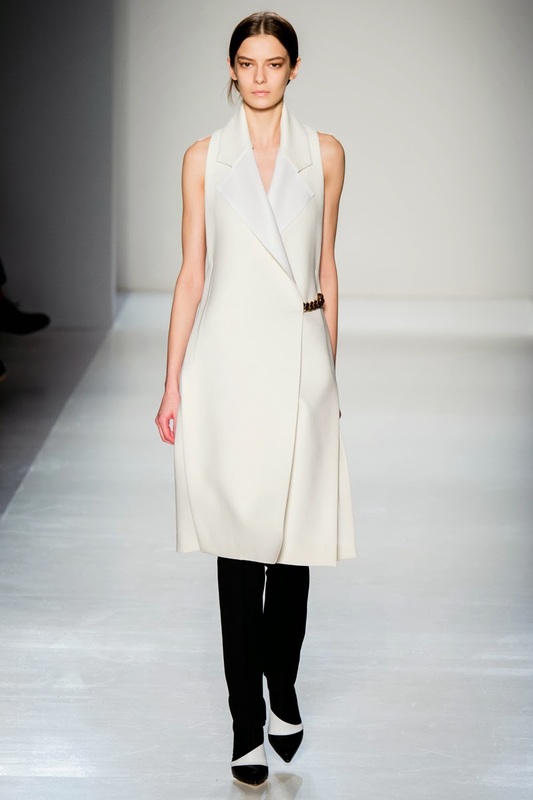 I think the collections of Victoria Beckham are always very classic, wearable and feminine. The new fall/winter collection of 2014 isn't different in that way, but the items in the collection are classic with a special touch this time. One thing that is coming back in a few looks is the chain, what makes it a little tougher. The collection shows a lot of black & white and some feminine dresses. I think they are very wearable and trendy. Thanks for visiting my blog! I'm a sucker for Wang and Helmut too.. I think they always coming up with very interesting fashionable collections.